What is ‘Church’? It’s not the building — it’s the people. We're a group of people who share a faith in Jesus Christ as our Lord and Saviour and we meet to grow in our relationship with God, through Jesus, and to enjoy fellowship with each other. Our Church is made up of individuals from Pencaitland and beyond — men and women, boys and girls — of all ages and stages on their Christian journey. All are loved by God and have been blessed with gifts to be used in His service. Worshipping and serving God, caring for one another and the wider community is part of our responsibility as Christians. But we’re far from perfect — we’re just trying to walk on the right path. So ‘Church’ is not restricted to one hour on a Sunday. It’s about having relationships that enable us to live out our faith day-to-day. It’s about belonging, contributing, being spiritually nourished, being servant-hearted and walking alongside others as they grow in faith. It's about being both faithful and fruitful for God's glory. And it's about bringing others to know Jesus. Rick Warren, in his book, Purpose Driven Church, says, "I love the Church of Jesus Christ with all my heart. Despite all its faults (due to our sinfulness) it is still the most magnificent concept ever created. It has been God's chosen instrument of blessing for two thousand years. It has survived persistent abuse, horrifying persecution, and widespread neglect... the Church will last for eternity. It is worth giving our lives for and it deserves our best." The local Church is the hope for the world. Romans 12:3-5 Just as each of us has one body with many members, and these members do not all have the same function, so in Christ we who are many form one body, and each member belongs to all the others. And finally, here's a little food for thought about choosing a Church - using the analogy of being in a hall, facing many different doors. It's from C.S. Lewis - taken from Mere Christianity. "...And above all you must be asking which door is the true one; not which pleases you best by its paint and panelling. In plain language, the question should never be: 'Do I like that kind of service?' but 'Are these doctrines true: Is holiness here? Does my conscience move me toward this? Is my reluctance to knock at this door due to my pride, or my mere taste, or my personal dislike of this particular door-keeper?' When you have reached you own room, be kind to those who have chosen different doors and to those who are still in the hall. If they are wrong they need your prayers all the more... That is one of the rules common to the whole house." 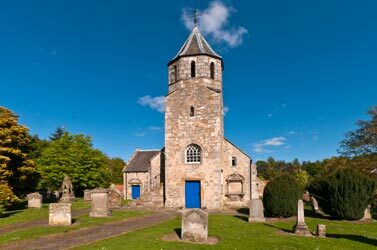 Pencaitland Parish Church is a Church of Scotland Church and a registered Scottish Charity (SC0004871).